Trial entry will open on September 4 at 9:00 AM Pacific Standard Time. Entries will be awarded by random draw of all entries received between 9 AM September 4 and 9 AM September 6. Trial entry will close when entries fill after the draw period or 9 AM Pacific Standard Time on December 10, 2018. 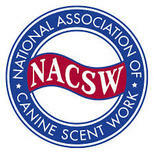 All registration will be on-line via the link provided to the NACSW™ trial registration form. Paper and phone entries will not be accepted. Completing the form is not a guarantee of entry. You will receive an auto-response email confirming that we received your trial entry after registration - this email does not confirm your space in the trial. There will be a separate confirmation from imPETusAnimalTraining@gmail.com to let you know if your entry has been given a space in the trial. Complete the on-line trial entry between 9 AM September 4 and 9 AM Pacific Time September 6. Spaces will be awarded by a random draw of all Qualified Entries (see below) received between 9 AM Pacific time September 4 and 9 AM Pacific Time on September 6. If a trial level is not full after the draw of Qualified Entries, then there will be a Secondary Draw of any entries received that did not meet the ORT or title requirements. These entries will be accepted pending completion of the requirements. Please note: Dogs must earn the appropriate ORT and prior title level at least 3 days prior to the trial date to be eligible to compete. If the required title or ORT is earned less than 14 days prior to the event, it is the competitor's responsibility to provide proof of the ORT or title to the event host in the form of a score book or a photo of the official results. Note: If you are entered in another trial before this one and earn the title for the level you are entering (Elite/ELT-CH) at this trial, you will forfeit your space in this trial. You may request that the host add you to the list of those wishing to run their dog For Exhibition Only (FEO), in which case you may be given a space in the trial if space remains after all Qualified Entries are accommodated. 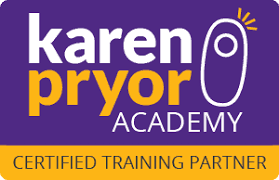 If you earn the title level after the refund period has ended then you must contact the trial host at: imPETusAnimalTraining@gmail.com within 48 hours of earning your title to let them know you are no longer eligible. If you contact the host within 48 hours of earning your title and at least 72 hours before the trial you are registered for to let them know you are no longer eligible. If you contact the host within 48 hours of titling and at least 72 hours before their trial and (1) they are unable to fill your space then you won't be given a refund but will be allowed to keep your space in the trial and run your dog FEO or (2) they are able to fill your space then a refund will be issued minus the processing fee listed in the cancellation policy. If you fail to contact the host within 48 hours of earning your title then you will forfeit your space, you will not be allowed to run as FEO, and no refund will be issued. If space remains after all qualified entries are accommodated on September 18, then we may accept entries for those who wish to run For Exhibition Only (FEO). Dogs running FEO are not eligible to receive title or earn placement ribbons. FEO results will not be included in the posted trial results. You will be notified via e-mail of the results of the random draw by 5:00PM Pacific Standard Time September 12. If you are given a space in the trial, you will receive information on how to submit payment. You will then have 48 hours to complete your payment to confirm your space in the trial. For cancellation of entries on or before 5 PM Pacific Standard Time December 10 – full refund minus $25 processing fee. For cancellation of entries after 5 PM Pacific Standard Time December 10 – no refunds will be issued. Trial location is a private school. The competitor parking lot and pathways to the search areas are paved. The search areas may include pavement, linoleum, artificial turf, rubber, concrete on level ground. The school is small, but spread out so there will be long walks to the search areas. Please note: we will have searches on second floor and dog/handler teams will need to walk up steep steps. Due to unforeseen conditions, such as weather or change in availability of areas at the location, the expected search areas, parking, and pathways to the search areas may be modified at the last minute. Parking lot is tight. No Reactive Dog Parking. No Reactive Dog Potty area. No RV Parking available. By registering for the trial, the competitor hereby assumes all risks of, and responsibility for, accidents and/or damage to her/himself or to her/his property or to others, resulting from the actions of her/his dog. The competitor expressly agree that the NACSW™, Veronica Selco, Holistic Hounds LLC, imPETus Animal Training and its assignees or any other person, or persons, of said groups, shall not be held liable personally, or collectively, under any circumstances, for injury, and/or damage to her/himself, for loss or injury to property, whether due to uncontrolled dogs or negligence of any member of said groups, or any other cause, or causes. The competitor also agrees to assume all financial liability that may be incurred by the NACSW™ due to the actions of themselves or their dogs regardless of the cause. Will be allowed to run wearing “pants” at the very end of the running orders after all other dogs have been judged. Females in season will be parked and pottied in areas separate from the other dogs while at the trial if the location logistics permit. Handlers must contact: imPETusAnimalTraining@gmail.com so plans can be made for the dog. The parking is tight at this location and running your vehicles or generators in the parking lot is not allowed at this trial. Results for each search and overall will be posted after all searches are completed and scores are verified for you to record your results for your own records. It is your responsibility to ensure your scores are accurate prior to leaving trial grounds. In the event that a discrepancy cannot be verified at the trial, you may be instructed to submit a score card review request. Family members and friends are welcome to watch certain elements if there is appropriate viewing space for a gallery that will not interfere with the dog working or the judging. Limits may be put on the number of spectators depending on the turn out. Children under 18 must be directly supervised by a parent/guardian at all times. Spectators must check-in online prior to the trial, at registration upon arrival, sign a waiver, get instructions and a name badge. Note: Please complete spectator registration form here. No dogs will be allowed in the spectator area. No unentered dogs are allowed at the trial. Spectators are reminded that the hide placements must not be discussed nor should they speak with any competitors about what they saw until after the trial is complete. Competitors are not allowed to watch the trial at anytime. At this time, competitors may be allowed to take videos and photos of the search areas during the competitor walk through in order to help familiarize themselves with the search area. Due to the site privacy issues or time constraints, competitors may not be allowed to photograph or video a search area during the walk through. At the host's discretion, a photographer and/or video service may be present during the trial to offer photos and/or videos for sale to the competitors. Professional photographer/videographer Anneli Adolfsson of Rockstar Dogs will be offering video and photo services. Prepaid packages are discounted. Day of pricing is higher. Please contact anneli@angelpawprint.com with questions. We have a fundraiser that will benefit Hearts Alive Village Las Vegas, a non-profit dedicated to keeping dogs and cats out of shelters through their veteran, owner support programs and rescue. Bring cash or check. We will have Snuffle Mats, Handmade Dog Bowls & a Raffle Fundraiser. We will have Trial T-shirts available for sale. Please bring cash or check! A list of clinics and emergency hospitals is provided here. Please contact Veronica Selco at imPETusAnimalTraining@gmail.com for all trial related questions.